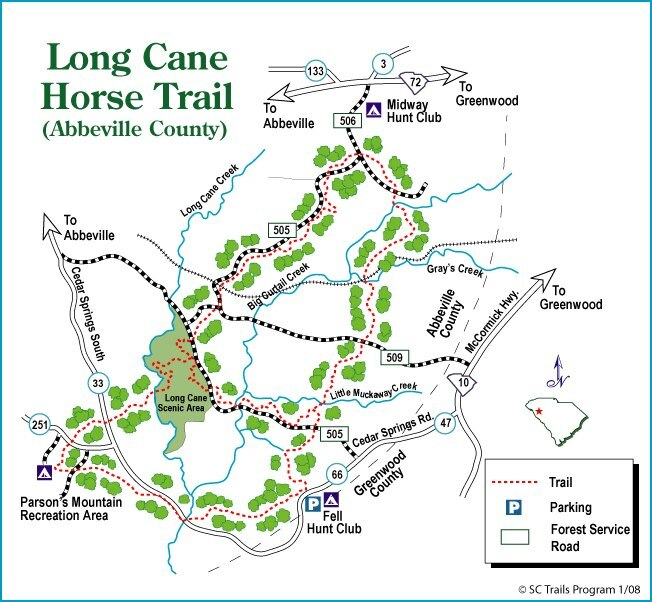 You know you’re in for a good ride when you first arrive at Long Cane Trail. The trailhead location is Fell Camp. The grass fields provide plenty of space for parking so there’s no maneuvering into tight spaces. 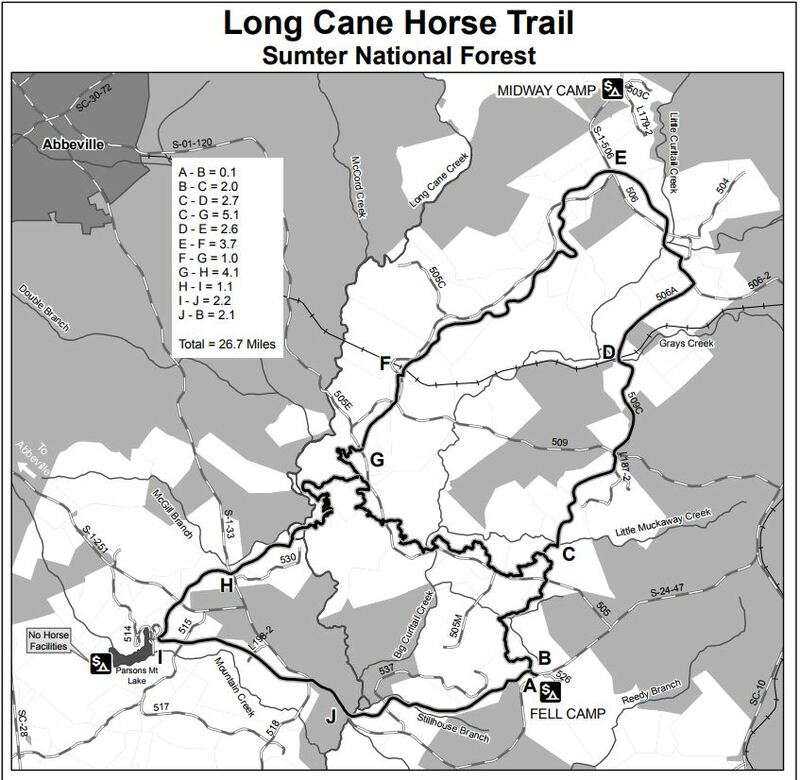 For most of the trail you ride through forest with hardwoods and pines interspersed. Several loops allow you to determine the length of time you spend here. You encounter the original Charleston Road on this trail. The settlers planted shagbark oak here in the 1700s and you see the pines they used to farm. Interpretive signs help describe the trail’s history. You ride in and through the numerous creeks as they are shallow and wide. In the spring you’ll come across the plentiful dogwoods in all their glory. An abundance of wildlife, including deer and wild turkey are not hard to spot. Yellow jasmine perfumes the trail when they are in bloom. Campsites are on a first come first serve basis. Terrain: Natural, dirt, gravel or paved roads. From Greenwood Mall (also known as Cross Creek Mall) take Hwy 72 west towards Abbeville for 1.3 miles. Turn left onto Calhoun Road and travel 1.7 miles. Turn right onto Hwy 10 and travel 6.2 miles. Turn right onto S 24-47 and travel 2.4 miles to entrance on left.